Up for bid this month is easily the finest Beta Black Lotus card we've brokered in recent years and represents a world-class investment opportunity for the marketplace. 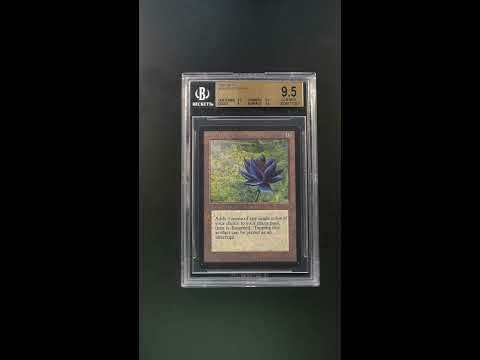 The Black Lotus is known around the world as being the single most important MTG card ever printed and is widely considered the most valuable card ever to be released in a regular set. 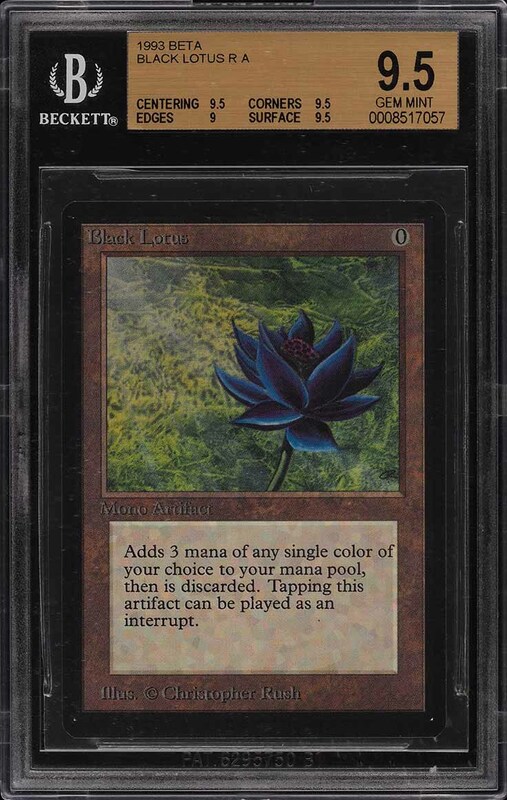 Quickly after its release in 1993, the Black Lotus was instantly recognized as the preeminent card from the set and made every deck simply better with this card in it. Once recognized for its immense power, this card has since been banned/restricted in all formats and now sits atop the coveted 'Power Nine'. Designed by Christopher Rush, the Black Lotus is a truly remarkable piece of artwork which represents a fine art investment equivalent to a Picasso or Van Gogh painting. This card is truly something special and possesses pack fresh eye appeal throughout. Beautifully centered with dark black borders and thick card stock. The corners are perfectly formed and the surfaces are sublime. Free of any indentations or imperfections with vivid color and tremendous gloss. The edges show very well in our opinion with minimal touches to the top border perhaps being all that prevents a higher subgrade. 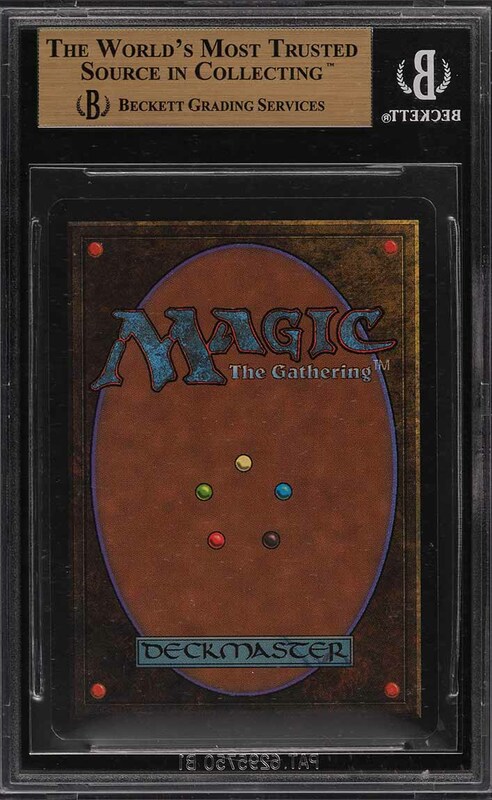 Like an exceedingly rare piece of beautiful art, this card will surely yield a fantastic return and will forever be the most recognized magic card in the world. Comes highly recommended by PWCC. Part of a magnificent run of high-grade Magic The Gathering examples on the auction block this month. One of nearly 15,000 cards, lots, and sets up for bid in our 4th Auction of 2019. Click on the link above to view the other PWCC auction lots. The PWCC Vault is now live! Open a PWCC Vault account and receive a custom Vault shipping address. Purchases shipped to the Vault receive free shipping and reflect Oregon's 0% sales tax rate.